From fingerprints earlier in the week to human anatomy today... one might wonder if the name of this blog should be changed to CSI: Paper Art! Sarah Yakawonis of Yakawonis Quilling is a young graphic designer who has been featuring an intriguing series of quilled work on her blog for several months. 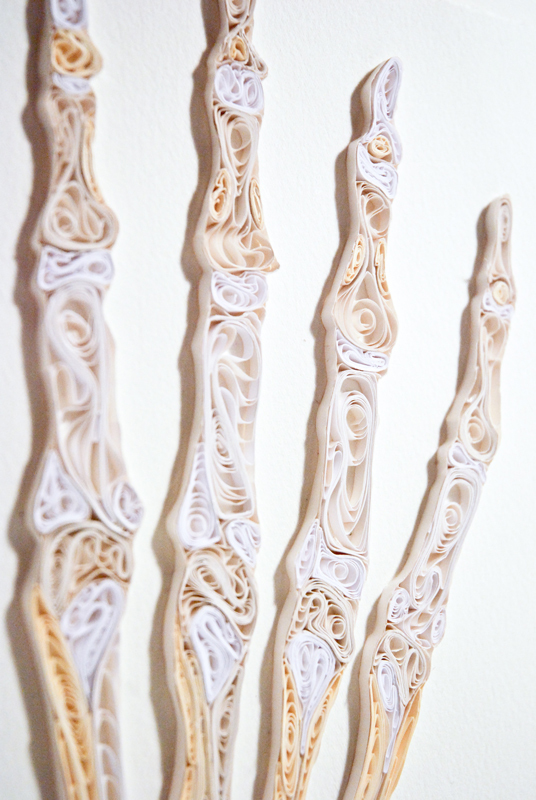 I love coming across unusual uses of rolled paper and Sarah's pieces certainly fill the bill. She quills in the same vein (sorry, couldn't resist yet another body part) as Greek artist, Pavlos. Very dense coils define her style. 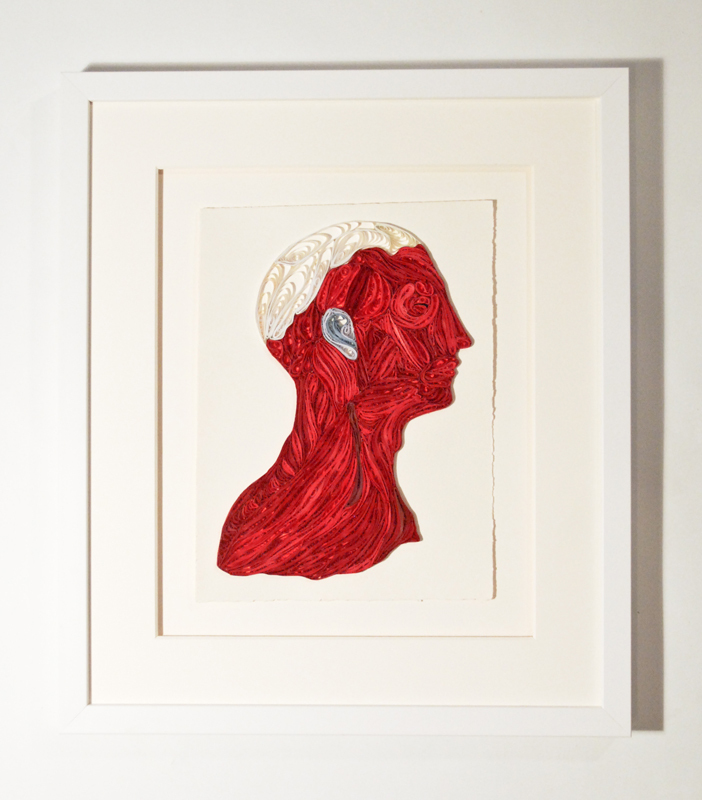 Sarah has answered questions for us about her quilling, and especially her impetus for this anatomical series. 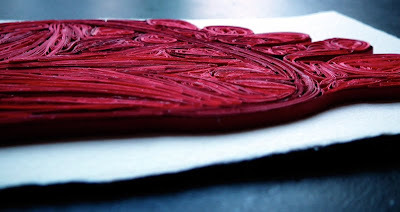 How did you happen to get started quilling? I noticed packs of quilling paper at my local art supply store and got a rush of inspiration. Bought a few, and subsequently I bought out the store's small selection of paper! 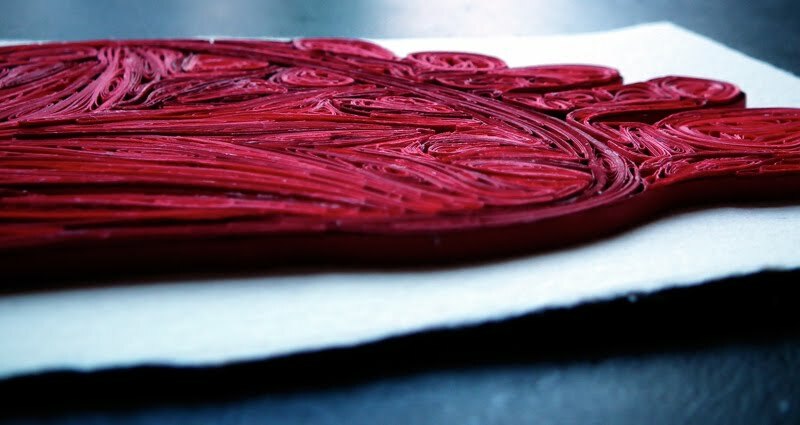 I had never heard of quilling, so I did some research into the techniques and history. It took some time to get good at it, especially figuring out just the right amount of glue to use, but it was really fun learning through playing. I love the dimensionality of quilling... how it looks different from various angles, and the play of shadows as the daylight changes. 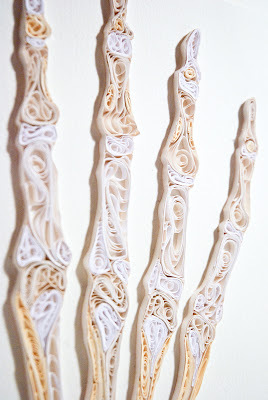 I like how the quilling I do lives between 2D and 3D. I'm also into all of the textures that can be achieved. Because I love repetitive tasks, there's a real meditative quality to doing the same task over and over. 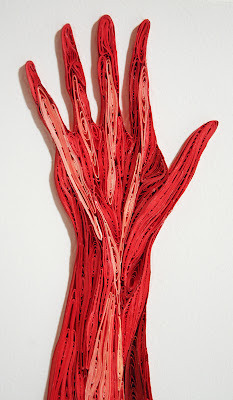 What was your motivation for quilling the human body? I wanted to make quilling that was different than traditional flowers, letterforms, and nature motifs. While I find these subjects enchanting, I felt that designs like that wouldn't hold my interest. 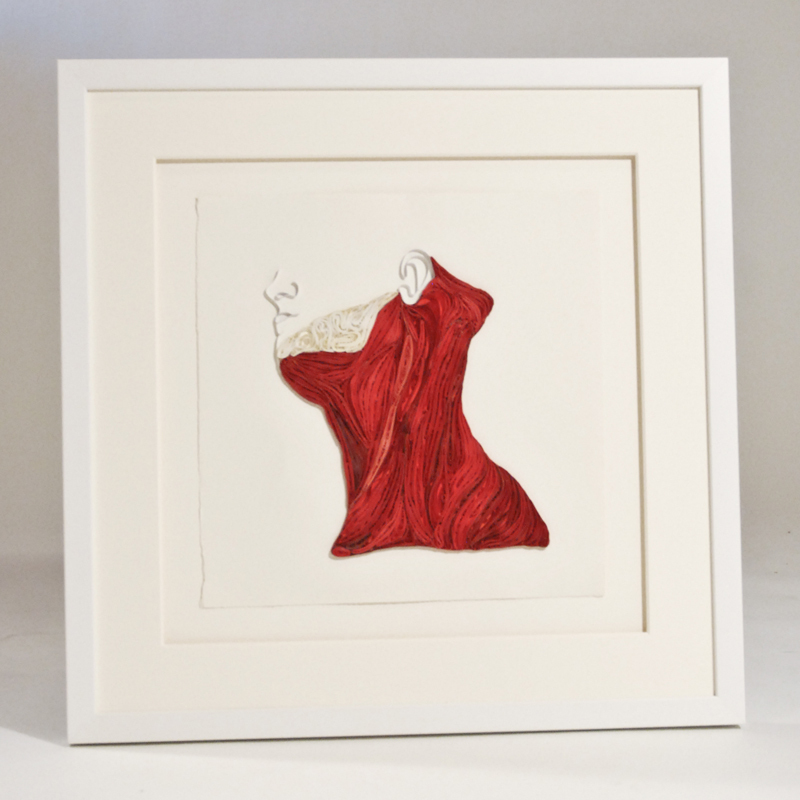 I wanted to quill a series that was macabre in juxtaposition to more traditional quilling. The idea came to me while I was vacationing with my mom on Monhegan Island in Maine (my home state). Monhegan has had an art colony for over a century because of its astounding beauty and seclusion. It's a truly magical place where you can see all of the stars at night and really hear what silence sounds like. 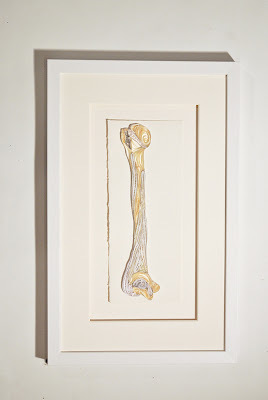 It was in this rich atmosphere of creativity that my mom (who is also an artist) and I were having a conversation about my hunt for an unusual subject to quill. Through the winding course of our conversation, I mentioned the fact that my friend was taking an anatomy class. Like a flash the idea came to me... quilling based on the anatomy of the human body would be so cool! 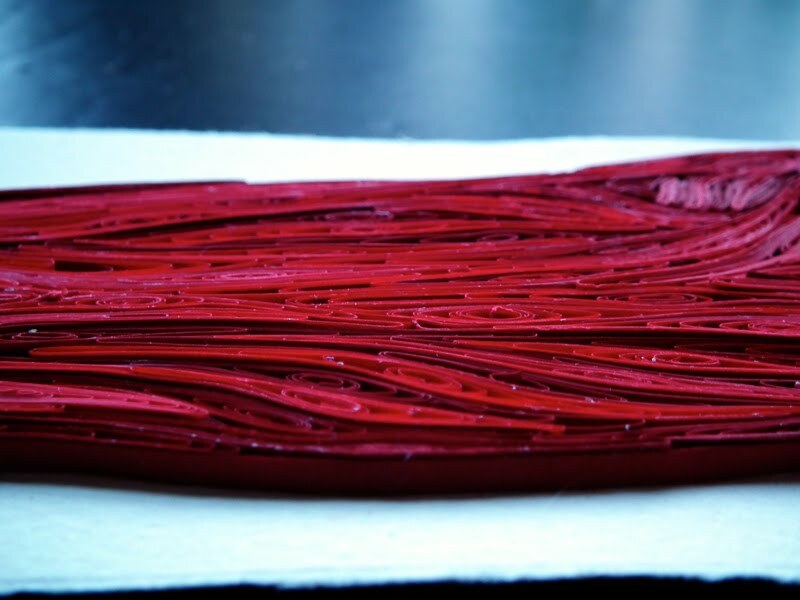 There's a visual correlation between the ribbon-like quality of quilling paper and human muscles that just works in such a nice way. 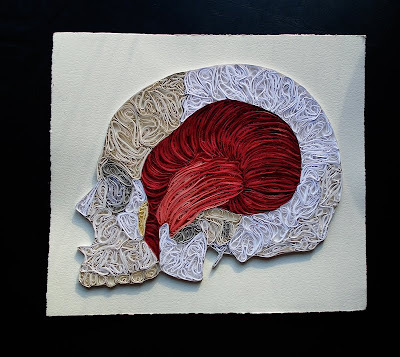 I'm still really interested in anatomical quilling, so I plan to do more organs, and will continue to experiment with life-like color combinations. I'll also keep going with muscle studies... there's so much of the body left to explore! What is your educational background and are you currently working as an artist? I have my BFA from the Maine College of Art with a focus in graphic design. I work at Blue Design in Portland, Maine, which is a publication design studio. We make books... I love designing books! I also teach Adobe Illustrator one on one, and have been a guest lecturer at Maine College of Art. What other artistic mediums do you practice? 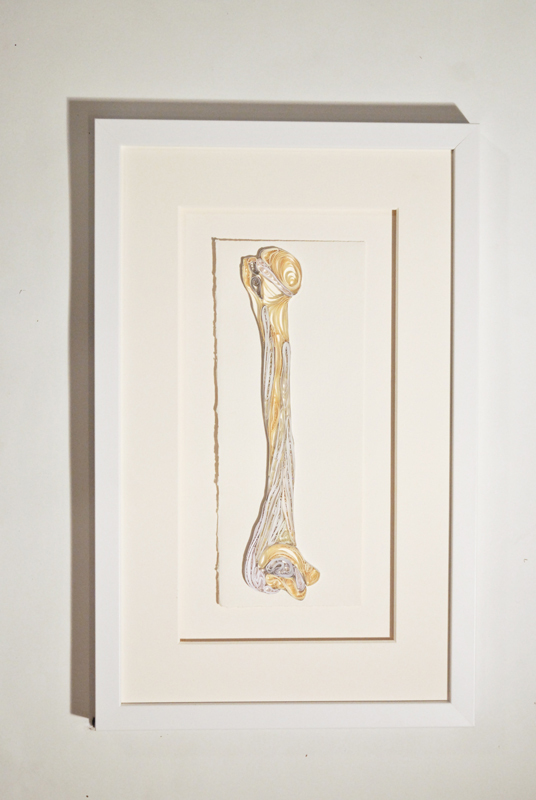 I love drawing and tend toward abstract rather than life drawings. I also really love Adobe Illustrator, making both vector drawings and information design. Thanks for sharing your quillwork and thoughts, Sarah. Best wishes! Wow Ann....you continue to bring us the art of paper crafts in enormously unique ways. Sarah's art has blown me away. I don't know why when we google quilling I have never stumbled across Sarah's work...it should be near the top. I see she has 6 followers but that will quickly change and especially being profiled on your site....that was the best thing that happened for me. What an amazing artist! Thank you so much for sharing her unique work! oh wow! 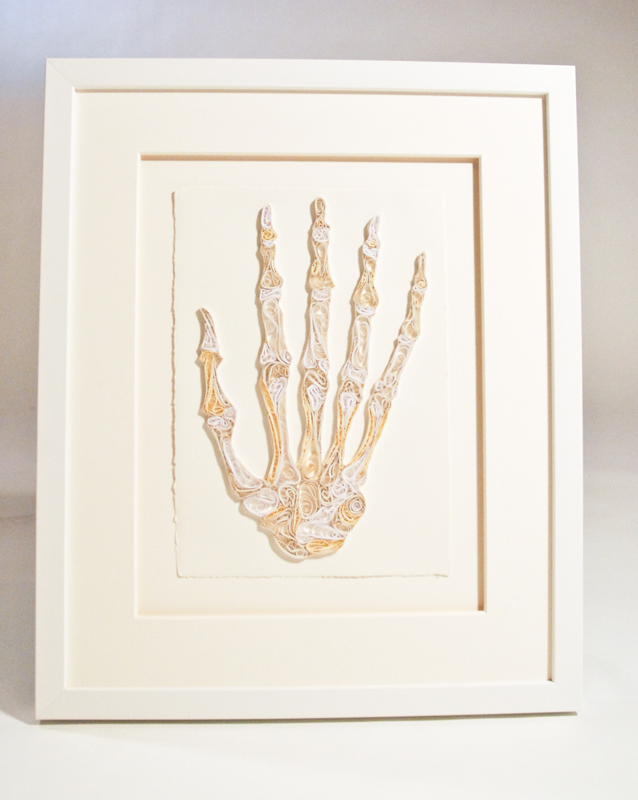 science meets art, again :) love it! What fantastic work! She's a find. 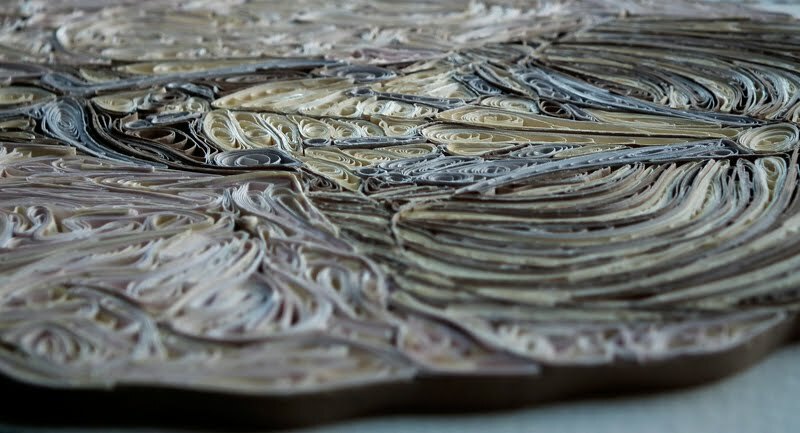 what can be done with paper is so amazing. These really are awesome! Wow! So very amazing. The muscles and especially the brain quilled so perfectly .what a talent! The long quilled elements does look like muscle fiber . The white coils shaped so different and yet fitting so well with the shape of the brain is fascinating. Cheryl, I know just what you mean... I'm always surprised when I come across various sites and wonder how/why they've stayed hidden. Suganthi, I agree with you - I think the brain is my favorite in the series so far. The science geek in me LOVES this! I think I have to agree and say the brain is my favorite, too. Very cool stuff. 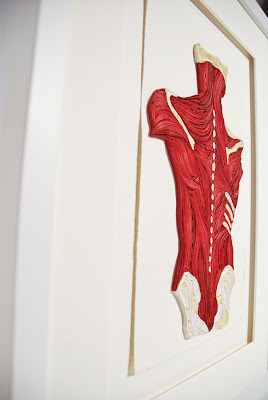 Thanks Ann for showcasing Sarah's very different quilled anatomical pieces. It's amazing! 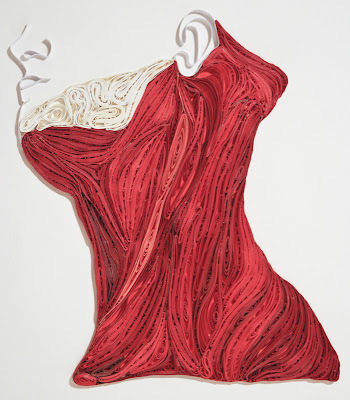 I love the way the quilling and the colours used gives the effect of the muscles and the body structure. I look forward to seeing more of Sarah's quilled anatomical pieces.